Ball Pythons! Bill Keith will be speaking on these wonderful snakes at the SLHS general meeting, Sunday July 10th. 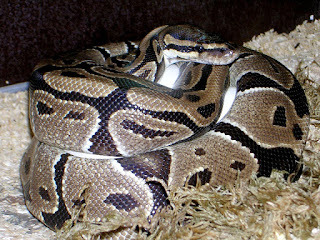 Ball Pythons are a very popular snake in the pet trade. Many of them, if not most, are captive bred and within the last decade or so breeders have come up with some amazing color morphs. If you are interested in a pet python but do not want a snake that will one day become huge then the Ball Python is the snake for you. The natural color of these snakes is beautiful even without all the selective breeding and a normal color phase Ball Python is accessible to most anyone who would like to have one. With their smaller size (about four feet which is small in the python world!) and generally timid nature they are excellent snakes for beginners. Once, wild caught were all you could get and they were sometimes very hard to get to feed in captivity. But the captive bread babies available today are usually great eaters and will feed on thawed feeder rodents. 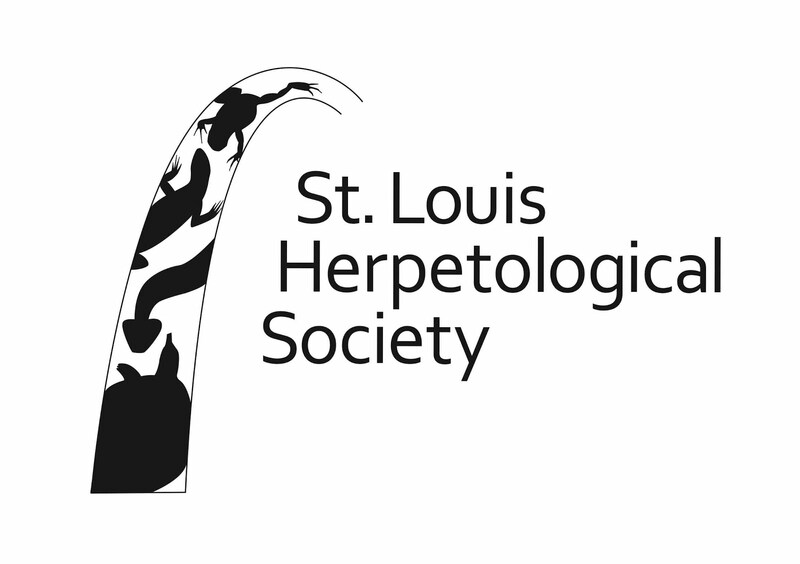 Come to the St. Louis Herp Society's meeting this Sunday, July 10th and learn more about these fantastic snakes from Bill Keith. Meetings take place at the Kirkwood Community Center, 111 South Geyer Rd. Doors open at 6:30 and the meeting will begin at 7. Hope to see you there! 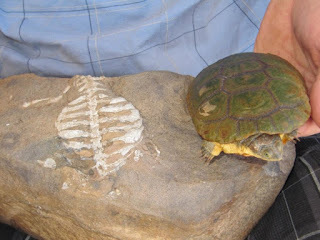 How it got its name. 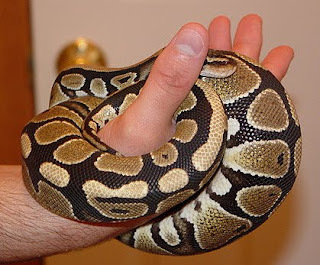 A Ball Python all balled up. A beautiful piebald color morph. 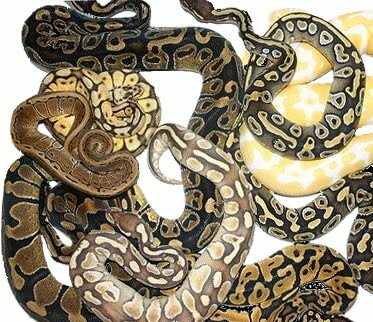 Ball Pythons are a very popular snake in the pet trade. 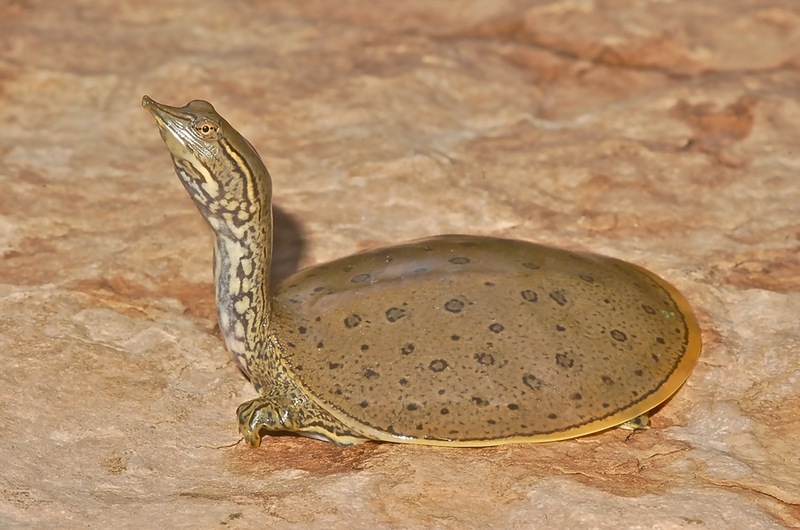 Many of them, if not most, are captive bred and within the last decade or so breeders have come up with some amazing color morphs. 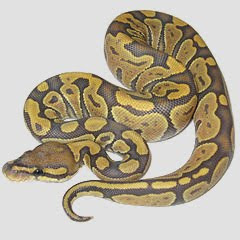 If you are interested in a pet python but do not want a snake that will one day become huge then the Ball Python is the snake for you. 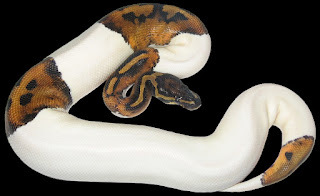 The natural color of these snakes is beautiful even without all the selective breeding and a normal color phase Ball Python is accessible to most anyone who would like to have one. With their smaller size and generally timid nature they are excellent snakes for beginners. 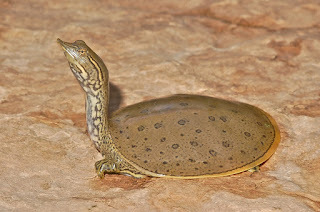 Once, wild caught were all you could get and they were sometimes very hard to get to feed in captivity. But the captive bread babies available today are usually great eaters and will feed on thawed feeder rodents.